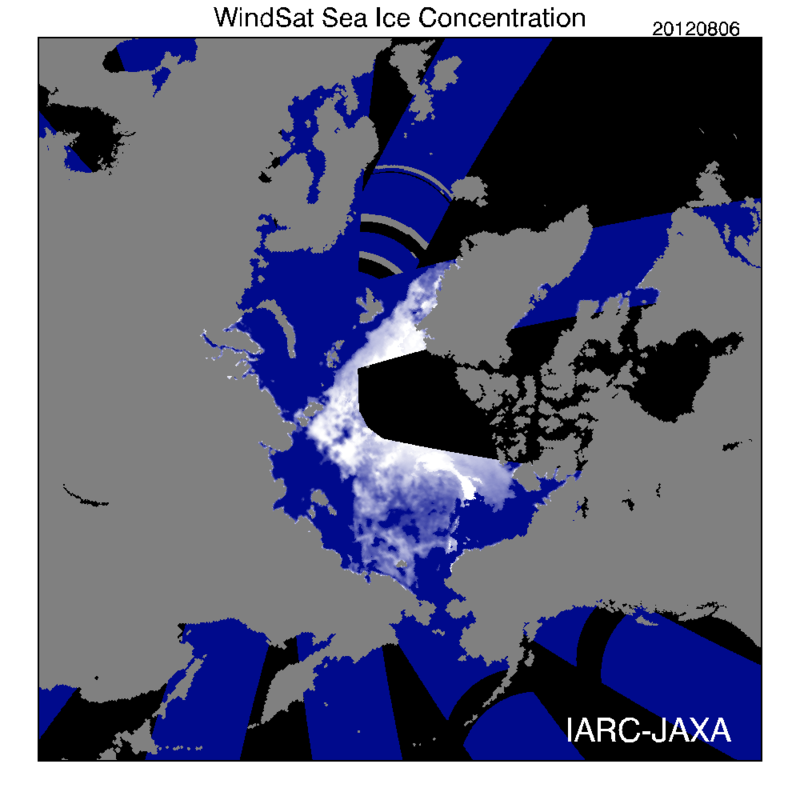 The above image shows sea ice area in the region on August 2. 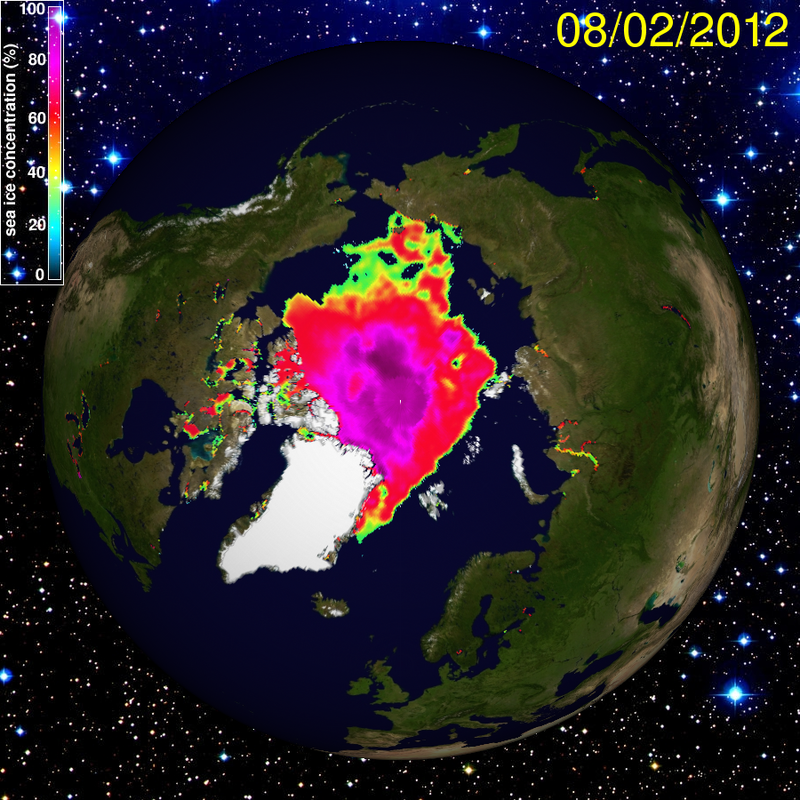 The image below shows sea ice area on August 5th. Two large melt holes in the center of this region have now grown and joined even as the edges around the region eroded. 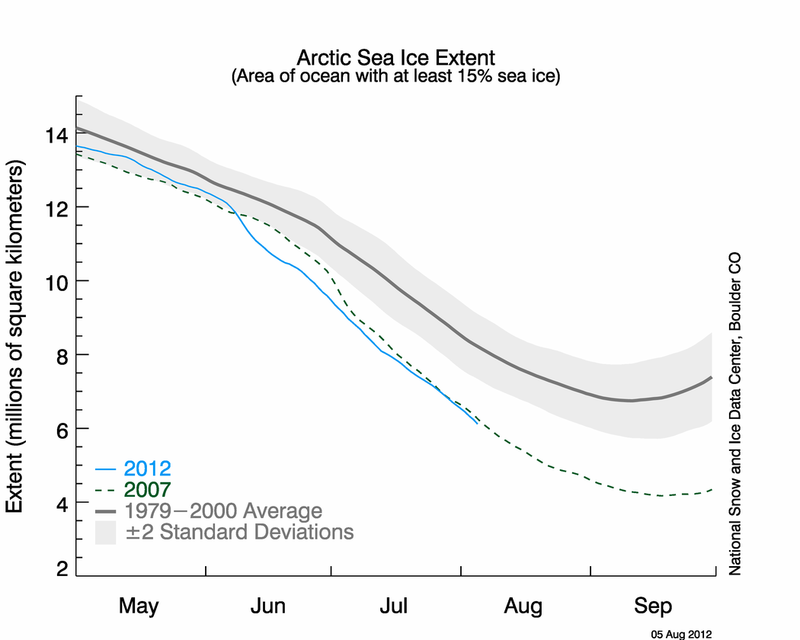 In total, throughout the Arctic, 230,000 square kilometers were lost from August 2nd to August 5th. The loss rate, at more than 70,000 square kilometers per day, is much more characteristic of a June melt than an August melt, when loss rates usually begin to slow down. Total sea ice area is now at 3,556,000 square kilometers, the fifth lowest measurement on record with more than a month of melt still ahead. 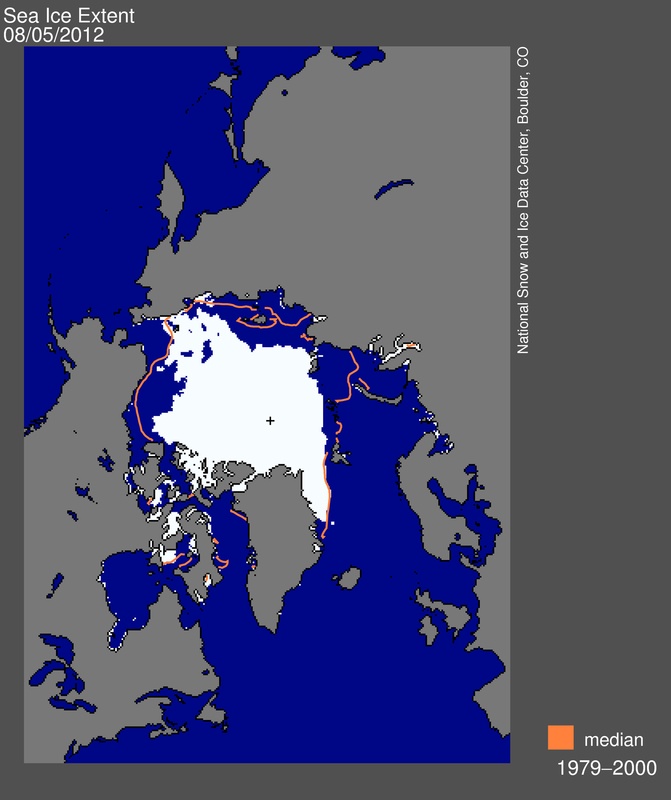 The record low for sea ice area is about 3 million square kilometers. At the current rate of melt, that record would be breached in about 8 days. Though explained in a previous blog, it is important to again note the difference between extent and area. Area measures the total sea ice coverage including holes within the ice pack. Extent includes all sections of ice behind the leading edge, so it doesn’t take into account holes forming behind the ice pack. And since the holes are currently rather large, area, at this time is the more accurate figure. With the best description for the area in question being that it looks like a large chunk of frozen Swiss Cheese. Since this new record melt is now an ongoing trend, we will update you as the situation develops. But it is important to note that conditions are currently so fragile that any unfavorable weather will likely result in new record lows for both area and extent being reached before the end of summer. The most recent enhanced satellite image from the Japanese Space Agency (JAXA) just posted. Since the JAXA images are higher resolution, it is worth taking a look at. Again, in the JAXA image we see a very rapid decline over the past few days with the area in question showing very thin ice. Taking a look at these pictures it is difficult to imagine ice in this area lasting for much longer. NASA: Extreme Summer Heat, Agricultural Impacts, “Causally Connected to Global Warming.” This Summer’s Drought Event Result of New Potential for Extremes.